ISUZU TROOPER RODEO BIGHORN Most models 1995 on. GEARBOX DRIVE PIN FOR SPEEDO SENSOR. Labour claims are never accepted. All of our products are sourced directly from our range of approved factories. Tipo de sensor: inductivo. Forma del enchufe: oval. Se entiende que los riesgos de transporte para la devolución de los artículos son a cargo del consumidor. Sólo después de la recepción de dicha certificación se procederá a procesar su solicitud. Sensor Type Speed. Reference OE/OEM Number VSS Vehicle Speed Sensor Gearbox Position. ISUZU TROOPER RODEO BIGHORN Most models 1995 on. GEARBOX DRIVE PIN FOR SPEEDO SENSOR. Any models shown in the application table are just a guide. ISUZU TROOPER RODEO BIGHORN Most models 1995 on. GEARBOX DRIVE PIN FOR SPEEDO SENSOR. Labour & any consequencial loss claims are never accepted. At AMS we know how difficult buying car parts can be, but we do everything we can to make it as easy as possible. Sensor Type Speed. Reference OE/OEM Number VSS Vehicle Speed Sensor Gearbox Position. Trabajo y las demandas de la pérdida consequencial no se aceptan nunca. Utilice la tabla anterior para ver si su coche coincide con la especificación. Heater Motors. Fan Couplings & Magnets. Belt Tensioner Wheels & Bkts. Suspension Ball Joints. RPM Sensor. Rear Lights. Front Exhausts Cats. Estimates can be provided beforehand but prices may differ upon ordering. OPEL VECTRA B Hatchback (38_) 199510 - 200307. OPEL VECTRA B (36_) 199509 - 200204. OPEL CORSA A Hatchback (93_, 94_, 98_, 99_) 198209 - 199303. OPEL VITA B (73_, 78_, 79_) 199303 - 200009. ROVER 400 Tourer (XW) 199309 - 199811. 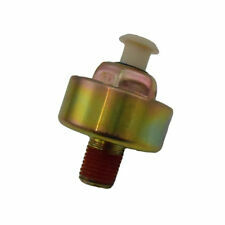 CRANK SENSOR VAUXHALL ASTRA: ASTRAVAN: LEXMARK LCS381. Manufacturer Part Number LCS381. Tipo de Sensor. SENSOR INDUCTIVO. Sensor Type Powertrain. A continuaciÃ³n puede encontrar una traducciÃ³n automÃ¡tica al espaÃ±ol. VAUXHALL CARLTON Mk III 198609 - 199403. VAUXHALL CARLTON Mk III Estate 198609 - 199403. Switch Pressure [bar]: 0,60. If you have bought a part by mistake and find it does not fit your car (or if we have made a mistake!). TIE ROD AND STABILISER LINK. APEC WEAR INDICATOR, BRAKE PAD. Catalyst Inc Fiting Kit. DENSO SENSOR. Blue Print Filter Service Kits. HONDA CIVIC VII (EU, EP, EV) 1.7 CTDi. Catalytic Converter Exhaust. Catalytic Converter Fiting Kit. Features:High quality, durable, against fading.Gives your vehicle a clean and elegant style.Replacing the old or broken parts to restore your vehicle with a brand new look It sends a signal to the speedometer to control the displayed speed.The vehicle speed sensor is just what you need to get your vehicle in good running condition again!Description:Replaces dealer part Numbers: SLX 8971297040 Direct replacement.Directly replace OEM components&n.